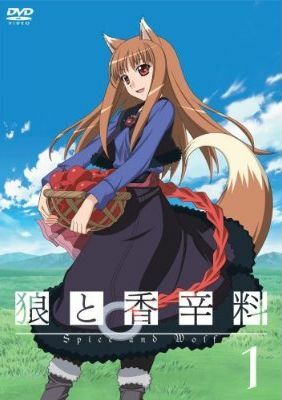 Spice and Wolf tells the story of Craft Lawrence, a peddler who makes a living by traveling to different towns and selling his wares. On one particular visit to the town of Pasroe, he encounters a 250 year old pagan wolf deity girl named Holo. Holo has the appearance of a 15-year old girl with Wolf ears and a tail, and is known as the town's goddess of harvest who has kept it blessed with good harvests of wheat for many years, though she yearns to leave it behind and head back to her hometown of Yoitsu. She also wants to explore the world and see just how much has changed within it. Lawrence agrees to take her on this journey and as a result his profits increase because of her wisdom. However, her true nature brings some unwanted attention from the church.